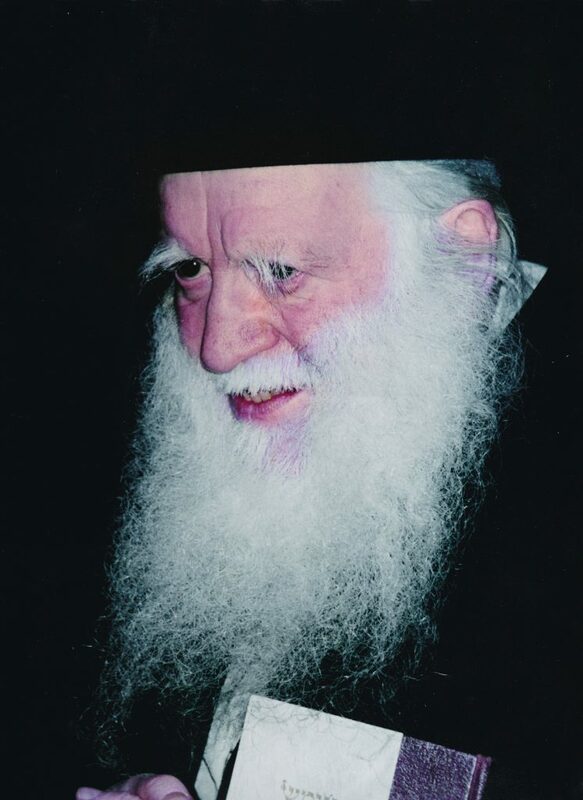 A quarter of a century has passed since the world was shaken by the passing of the great tzaddik Harav Yehudah Zev Segal, zt”l. Harav Segal was known universally as the Manchester Rosh Yeshivah, after the town where he lived almost all his life, but the warmth of his radiance was felt all over the globe. The Manchester Rosh Yeshivah was recognized as an outstanding personality by Gedolei Hador during his years as a bachur in yeshivah, though his renown spread only later in his life. He instituted the daily learning of the Sefer Chofetz Chaim, and he had the satisfaction of seeing his idea become popular. When the Rosh Yeshivah visited America in his old age, many people came to seek his advice and his blessings. Since his petirah, the fame of the Rosh Yeshivah continues to grow. The Chofetz Chaim Heritage Foundation still reaches out with his message to many thousands of people. Yidden, burdened with troubles travel even from across the world to visit the tziyun of the Manchester Rosh Yeshivah and to pour their hearts out there in tefillah. Volumes of writing continue to be printed about the life and achievements of Harav Yehudah Zev Segal. In honor of his twenty-fifth yahrtzeit, Inyan is privileged to present to our readers glimpses of his greatness perhaps hitherto unknown. The Rosh Yeshivah was accompanied for many years of his life by a select group of devoted talmidim who would tend to all his needs. 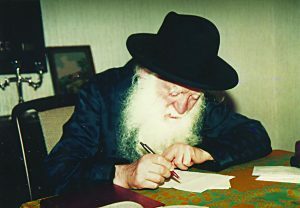 Reb Mordechai Bunem Brandeis, z”l, both a close talmid and very devoted gabbai, served the Rosh Yeshivah loyally until Harav Segal’s last moments. Reb Mordechai Bunem passed away six years ago. On the occasion of the yahrtzeit of their great Rebbi, Mrs. Brandeis and the Brandeis family agreed to share some of their treasured memories. How did your husband originally become close to the Rosh Yeshivah? This closeness continued through his yeshivah years. After our chasunah, Reb Mordechai Bunem had the merit of serving the Rosh Yeshivah in his home and accompanying him on most of his travels. How did the Rosh Yeshivah show his appreciation? When the Rosh Yeshivah was once hospitalized, Reb Mordechai Bunem remained with him for the duration of his stay. Rav Segal came to thank me and asked how he could repay our kindness to him. I was at a loss as to what to answer, but he suggested that he would visit our home on Sukkos and make Kiddush with us in our sukkah. This became a treasured annual custom for our family. Each year, the heilige Rosh Yeshivah would grace our sukkah together with his son-in-law Harav Meir Zvi Ehrentreu, zt”l, and we all savored the atmosphere of the tzaddikim in our home. Even after the Rosh Yeshivah was niftar, Harav Ehrentreu, Rosh Kollel of the Manchester Yeshiva Kollel at the time, continued to come every year. On Rosh Hashanah, the Rosh Yeshivah would pass our house to give me a brachah, and every Erev Yom Kippur he would bentch our children. On several occasions, Reb Mordechai Bunem wanted to honor the Rosh Yeshivah with sandaka’us, but each time, he refused, saying that my husband should first give the honor to senior members of his own family. When the opportunity arose again to be mechabed the Rosh Yeshivah, Harav Shalom Schwadron, zt”l, was visiting Manchester, and the Rosh Yeshivah insisted that Rav Shalom be given the honor. My husband agreed only after the Rosh Yeshivah gave his brachah that we would have another son for whom he would be sandak. The words of the tzaddik were fulfilled and my husband then asked for an additional brachah that we should be blessed with daughters, which was also, baruch Hashem, fulfilled. What influence did the Rosh Yeshivah have on your family? Just as the Rosh Yeshivah had promised to be a father to Reb Mordechai Bunem, he gave his advice and support and encouragement when we were bringing up our children as a true grandfather would. Once, one of my sons had been a bit too familiar at home. Reb Mordechai Bunem took him to the Rosh Yeshivah, who told the child to learn hilchos kibbud av va’eim three times. Incidentally, this was one of the ideas he told all boys to learn when coming for a brachah before they became bar mitzvah. The Rosh Yeshivah always tried to comfort others and make them happy. He agreed to allow other people to take pictures of him, smiling and preparing himself for the photograph, merely to give them pleasure. He spent much precious time answering many calls from around the world. One of our sons was once with the Rosh Yeshivah on Erev Yom Kippur. After speaking for a long time on the phone, Harav Segal commented that this was his own special avodah before Yom Kippur. He added that he hoped this was what Hakadosh Baruch Hu wanted him to do. For many years on Shabbos, the Rosh Yeshivah made a detour on his walk home from davening to visit a man who was unwell and homebound. Harav Segal cheerfully greeted both him and his wife every Shabbos before continuing on to his house. What memories do you have of the Rosh Yeshivah performing mitzvos? Each action of the Rosh Yeshivah was carefully weighed before he actually did anything. Before carrying out even the smallest mitzvah, he would always declare out loud, “Hineni muchan umezuman…” so that the good deed should be performed with the correct and absolute kavanah. My husband treasured a particular shofar given to him for his bar mitzvah. One year, in the yeshivah, the Rosh Yeshivah was struggling to blow tekios with the shofar he usually used. Reb Mordechai Bunem passed him his own shofar, which blew easily and without any trouble. From then on, the Rosh Yeshivah would use only that shofar, which was a great honor for Reb Mordechai Bunem. This shofar has been used ever since by his son-in-law Rabbi Moshe Kupetz. The Rosh Yeshivah made himself accessible at all times to any person who wanted to speak with him. Each day he spent much time in his room in the yeshivah learning alone. If anyone called or wanted to ask him a question, he would answer immediately. A yungerman who later became a respected Rav recalled the deep impression the Rosh Yeshivah made on him when he first went to the yeshivah’s beis medrash on Simchas Torah night. Rav Segal was full of simchah shel mitzvah, inspiring the entire assembly. Afterwards, the Rosh Yeshivah invited him to his house for the Yom Tov seudah. After becoming a talmid in the yeshivah, he would never make any major decision without first consulting Rav Segal, as so many other talmidim did. Sometimes, the Rosh Yeshivah would ask bachurim if they needed to mail the letters they wrote home. He readily agreed to take them himself and post them on his way home in the evening in order to perform the mitzvah of chessed. As he dropped them into the mailbox, he would declare that he was about to perform the mitzvah of v’ahavta l’rei’acha kamocha. He repeated this for each letter. One evening after Maariv, Rav Segal asked a bachur to order a taxi and accompany him to the local Jewish hospital. They spent half an hour touring the wards and visiting the patients. As they were returning, the bachur asked Rav Segal if there was a special reason he had decided to visit that day. He replied that he had experienced a very difficult day. That evening, he felt he did not have the proper perspective of his troubles, so he had decided to visit the hospital. There he would see those who were far less fortunate than he was and come to appreciate that, comparatively, his own troubles were insignificant. The learning of the Rosh Yeshivah and his cheshkas haTorah were legendary. His grandson recalls that the light in the Rosh Yeshivah’s bedroom would often stay on for hours after he had retired to sleep. His daughter was concerned for his health and would go upstairs to check. Out of deference to her concerns, his light would go off when he heard her approaching. Rav Segal always demanded from himself a high standard of learning. He liked to tell his grandson that during his youth he had learned in Yeshivas Mir in Poland with Harav Naftali Beinish Wasserman, Hy”d, son of Harav Elchonon Wasserman, Hy”d. During the winter zman they learned the whole of the long and complex Maseches Yevamos six times. The Rosh Yeshivah said that when they told that to Rav Elchonon, he replied that they had not learned enough and should have managed to learn more. The Rosh Yeshivah felt the burden of each individual who came to him. He was able to speak to each person on his own level. He encouraged and uplifted bachurim, but did not withhold criticism when he thought it necessary. A well-known Gadol once visited the Rosh Yeshivah. They spent some time in discussion, both in divrei Torah and various matters. When it was time for them to part, the Rosh Yeshivah handed him a sealed envelope, asking him to open it only after he had boarded the plane. The Rav was somewhat mystified, but followed the instructions. On the journey home, he read the letter and was amazed at the Rosh Yeshivah’s message: “I think you may have spoken avak lashon hara in our conversation.” Obviously, the Rosh Yeshivah had felt obliged to fulfill the mitzvah of rebuking a fellow Jew for a wrongdoing, but wanted to do so without embarrassing the Rav by telling it to him in person. Harav Segal bestowed extra attention on an orphaned bachur coming to learn in the yeshivah. When the bachur became engaged, Rav Segal wished him a hearty mazel tov and explained that, regretfully, he would not be able to attend his chasunah as it would take place during the summer vacation. The doctors had insisted that the Rosh Yeshivah take a rest in Semering. Of course, the chassan called the Rosh Yeshivah on the eve of the chasunah to receive his personal brachah. He was surprised to learn from the bachur looking after Rav Segal that the Rosh Yeshivah had wanted to surprise him and had in fact bought a ticket to travel to London for the day. Unfortunately, he had developed strong pains and had been unable to travel. Several days after the chasunah, the young couple received a message that the Rosh Yeshivah curtailed his rest in Semering and returned to Manchester to undergo treatment in the hospital. He wanted to meet with them. After the sheva brachos were over they traveled to visit Rav Segal in the hospital. They were bewildered to find the Rosh Yeshivah in tears. Although 25 years have passed since the passing of Harav Yehudah Zev Segal, his influence is still strongly felt by all those who consider themselves privileged to be called his talmidim. The yeshivah he led with such distinction for nearly 50 years is now home to the Manchester Yeshiva Kollel, where high-caliber avreichim dedicate their lives to learning Torah. The Kollel was founded by the Rosh Yeshivah during his lifetime with a vision for the future of Klal Yisrael. The Manchester Yeshiva Kollel, led by Harav Yisroel Ehrentreu, a grandson of Harav Segal, maintains the fire and enthusiasm the Rosh Yeshivah implanted within the walls of the yeshivah. The image of the tzaddik still burns brightly in the memories of his talmidim each day.